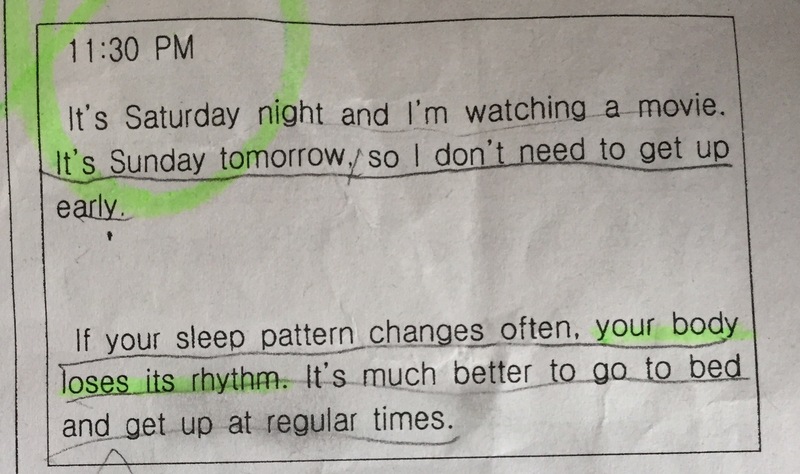 In this above situation, the question is that “What happens if we change our sleep pattern often?” and my brother had to fill in the blanks. A: ______ ______ ______ ______ ______ . So he answered, “Our bodies lose their rhythm.”. My brother’s answer is wrong? I would like to know if this answer is incorrect or not and if not, what is the difference in meaning between them. Your brother's got a strong case: the teacher changed the pronoun to 'we' so your brother correspondingly pluralised his answer, rather than simply using a verbatim quote. The sense of it remains the same. Not the answer you're looking for? Browse other questions tagged meaning differences grammatical-number or ask your own question. When did 'profanity' lose its inoffensiveness?